Arlington has issued a Library Card Sign Up Challenge during the month of February to our neighboring communities. Belmont, Lexington, and Somerville have all accepted the Challenge. The library that has the highest percentage increase in new library card registrations in February 2013 compared to February 2012 will be the victor. The prize is a platter of baked goods delivered to the winner from the losing communities’ favorite local bakeries. Additionally, if Arlington doesn’t win, Arlington’s Director of Libraries, Ryan Livergood, will visit the winning library’s storytime dressed as Clifford the Big Red Dog. Community pride is at stake, and we need your help to win! 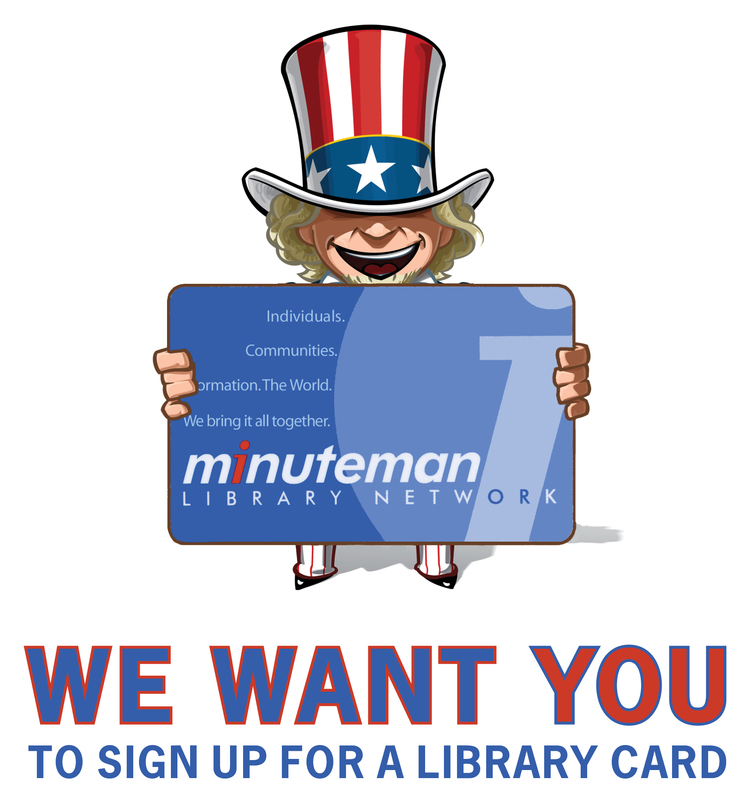 If you don’t already have a library card, sign up! If you have a library card that you haven’t used for awhile, check with us to see if it is still valid…library cards do expire. If you can’t find your library card, get a replacement. We are waiving fees for library card replacements during the month of February. Tell all your friends, family, and neighbors about the Challenge, and ask them to sign up for a library card if they don’t have one already. Don’t just tell the people you know face-to-face, talk about this on Facebook, Twitter, and other social networking sites. Have someone take a picture of you with your library card. Share it on Facebook, Twitter, and other social networking sites. Use the hashtag #getcarded. 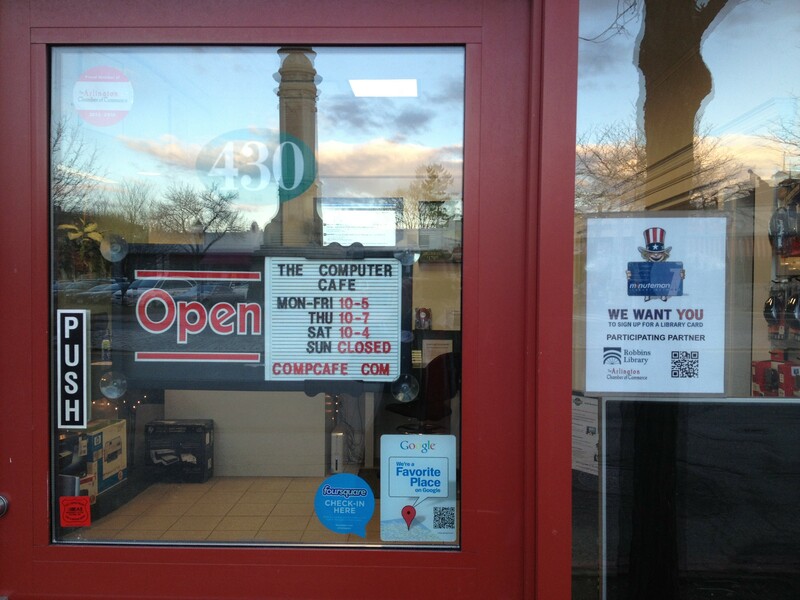 Send these pictures to us at this e-mail address or @RobbinsLib via Twitter. The best photos promoting library card sign ups will win prizes, such as a gift basket from Trader Joe’s! With help from the Arlington Chamber of Commerce, the Robbins Library is also partnering with 27 local businesses to promote the Challenge, offering library cardholders even more value beyond the vast resources they can access through the Robbins Library or Fox Branch Library. Library cardholders can get discounts on products and services by simply showing their library card at participating businesses during the month of February. Za Pizza, 10 percent discount on food for all take out orders and a 10 percent discount on food while dining at Za during lunch, which is Monday-Friday 11:30 a.m. to 3 p.m. This entry was posted in Library Card Sign Up Challenge and tagged library card, library sign up challenge. Bookmark the permalink.